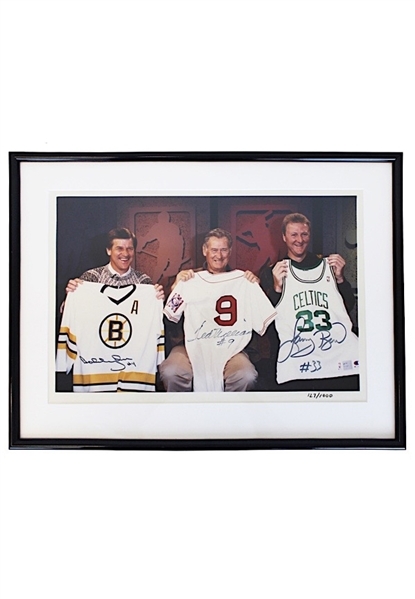 A 24x18” framed piece depicting Bobby Orr, Ted Williams and Larry Bird holding their respective jerseys. Each player signed on the appropriate jersey in blue ink and in our opinion the signatures rate a combined 7.5. In the bottom right corner the piece is numbered "127/1000". Accompanied by a LOA from JSA and a PSA/DNA LOA.